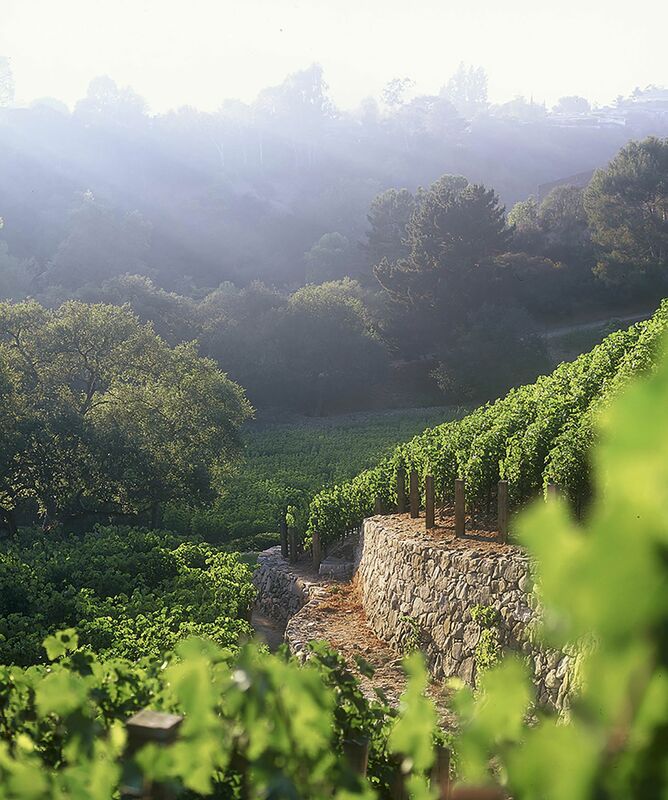 Of the many amazing things you see at Los Angeles’s J. Paul Getty Museum, one of the most stunning is the view from the roof: Across the highway in Bel Air—a neighborhood that claims the highest-priced house in the U.S.—you can see that someone is growing grapes. That someone is Rupert Murdoch, who bought the 16-acre Moraga Estate winery in 2013 for $28.8 million from Northrop Grumman Corp.’s longtime chief executive officer, Thomas Jones. Jones planted grapes there in 1978, on land once owned by Gone With the Wind director Victor Fleming, and started selling bottles in 1989. Murdoch now offers a Moraga Bordeaux-style red for $175 and a sauvignon blanc for $110, and the wines are poured at California hot spots such as Nobu Malibu and Wolfgang’s Steakhouse. When Murdoch is in L.A., he and his wife, Jerry Hall, reside in a 7,500-square-foot house at the vineyard, surrounded by olive trees and chickens. Joel Stein: You bought the property after reading about it in the mansion section of the Wall Street Journal. Rupert Murdoch: It was the fifth issue of that. Did you know you wanted to continue to make wine? It was one of the conditions of buying it. It wasn’t written in the contract; it was a handshake with Tom Jones. He put the last 25 or 30 years of his life in it. I loved going there. I wanted to hear about Tom’s career in designing aircraft. He wanted to teach me about wine. We had a great relationship for about nine months before he died. How quickly into meeting someone do you tell him you own a winery in Bel Air? They don’t believe me at first. Then they’re fascinated. When they’re in town, I ask them over. It’s almost a parody of a rich person, to have a vineyard in Bel Air. It’s a small one. The house is all one floor. There’s a lovely rose garden and vegetable garden. Everything is small and modest but perfect. Murdoch purchased Moraga’s 16 acres for $28.8 million in 2013. As a businessman, it obviously can’t make sense to grow wine in Bel Air, can it? I think we can get there. The land is what kills you. The taxes. Did you get any advice from Jacob Rothschild or any of your winery-owner friends on how to run it? Not really. But I gave some to Jacob to drink, and he said it was a serious wine, so I was quite pleased. Then he gave me some 1956 Latour, which is the year of my wife’s birth. They’re pretty good. Very different. 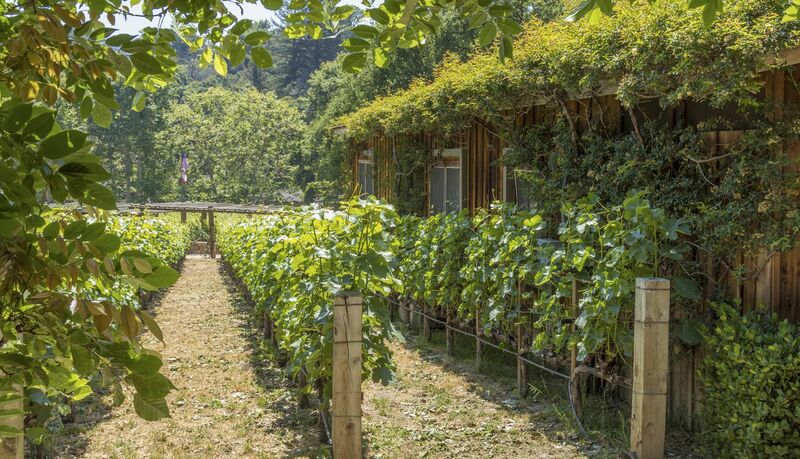 Did you consider changing the name of the vineyard from Moraga to Murdoch? No. [Moraga] is very well thought of. I’m very happy as long as the wine keeps improving. This year we’ll be back to normal quantities. We had two or three gray years, where we had 25 percent less wine. I had that dessert wine you used to make. It’s amazing. You should make it again. It’s wildly expensive to make. They were charging a couple hundred dollars for a half-bottle. You use infinitely more grapes for that. Much as I love it, it’s just pure calories. It’s all sugar. Do you remember the first wine that made an impression on you? I’m an Australian. I drank Penfolds. Hill of Grace. I don’t drink much other than Moraga these days. I’m giving a dinner party in 10 minutes for 20 people, and there will be Moraga wine. If you make only 10,000 bottles, I’d think you could use all of it entertaining and giving as gifts. I don’t entertain that much—10,000 is a lot of bottles. Me and my wife can never drink that much. She likes the white. 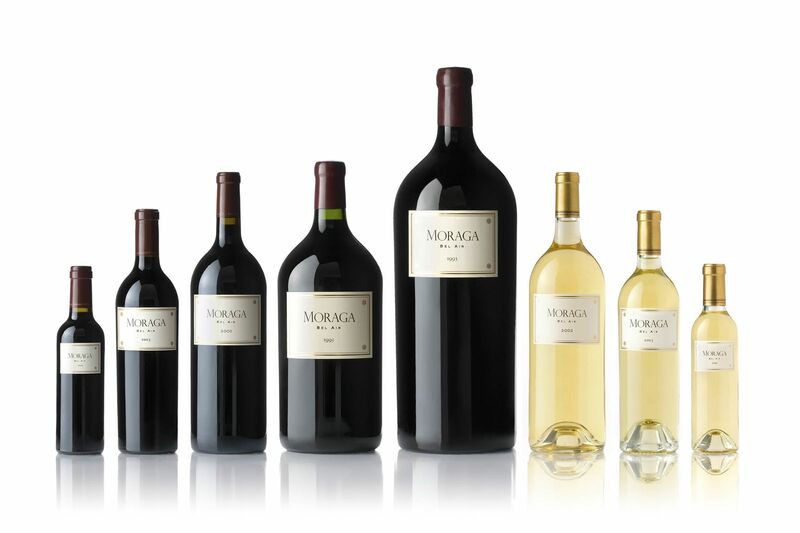 Do you bring Moraga to restaurants in New York and London? No. I should get the sommeliers in New York to try it, so I can get on their lists. Have you not brought it to restaurants because it’s a pain to carry it, or because it’s embarrassing to bring your own wine? I’m a bit modest, that’s all. Also, I work so hard I don’t go out that much. The estate produces about 10,000 bottles a year.